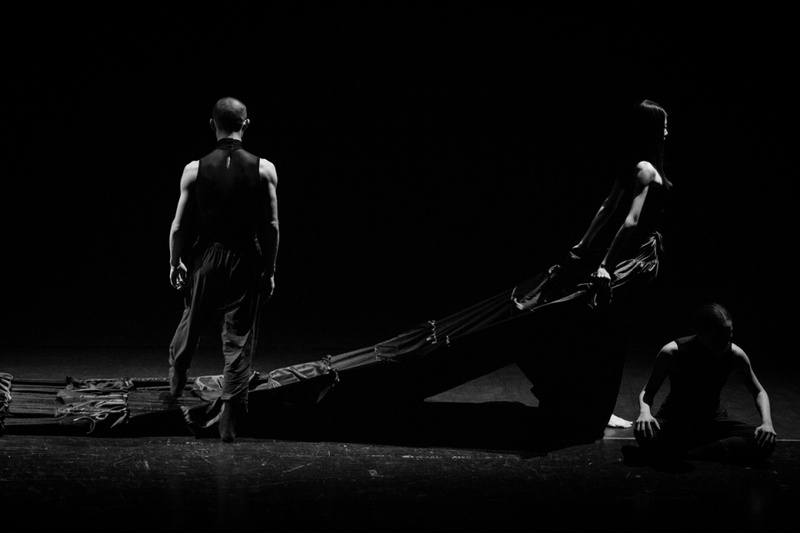 Phil Akashi proudly presented another ambitious work "Fragile" in collaboration with experimental dance troupe D.LAB. 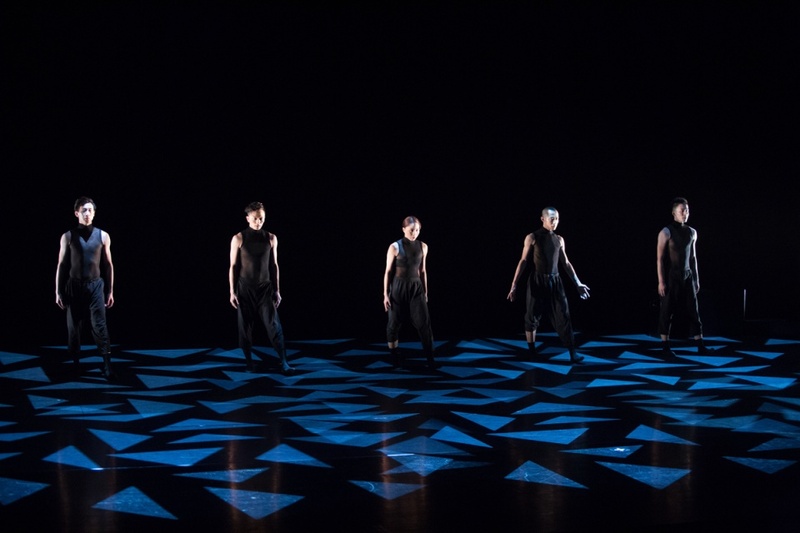 "Fragile" is a three-act pieces Modern Dance Performance and a cross-border collaboration between established choreographers, modern dancers and contemporary artist Phil Akashi. 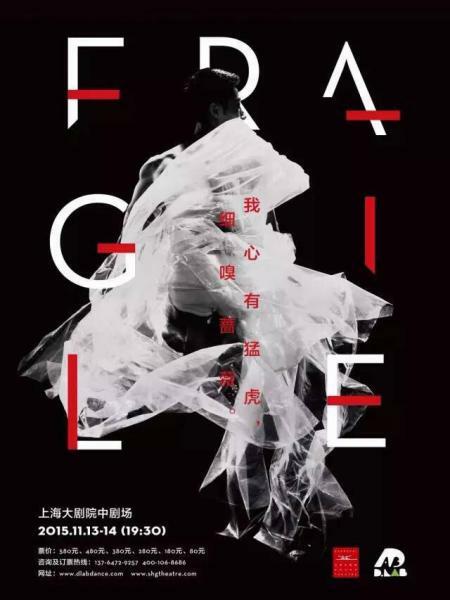 The premiere of Fragile was held at the Shanghai Grand Theatre, also called the Opera House on November 13 and November 14, 2015. 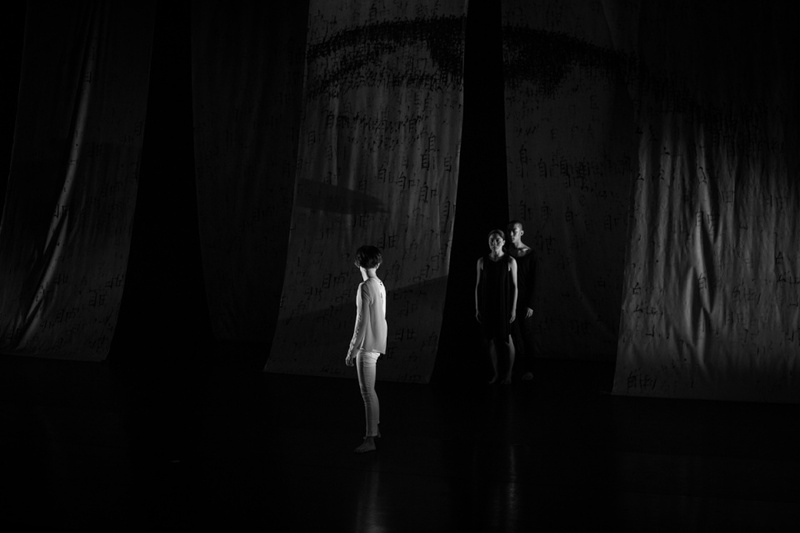 The performance was inspired by British Poet, Siegfried Sassoon: “我心有猛虎，细嗅蔷薇. “In me the tiger sniff the rose". 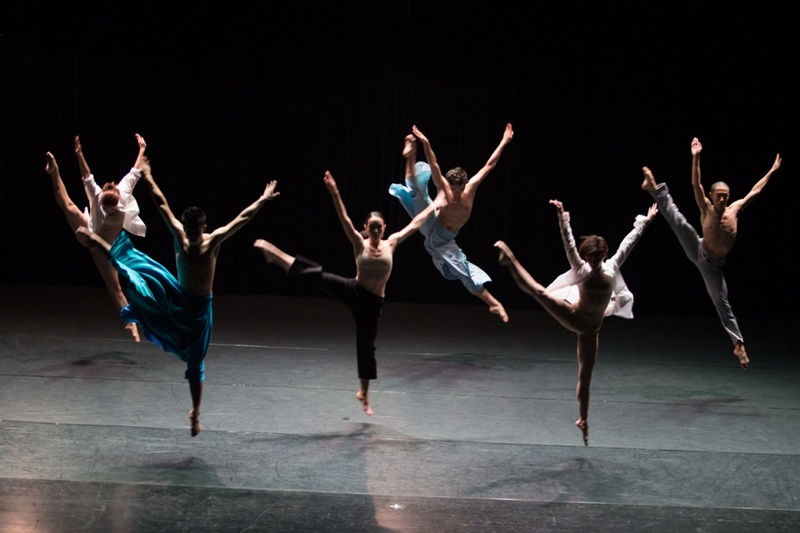 Duan Jingting 段婧婷, former Shanghai Ballet dancer and D.LAB founder and artistic director, invited professional contemporary dancers and two seasoned choreographers from home and abroad including Jiang Yang 姜洋. 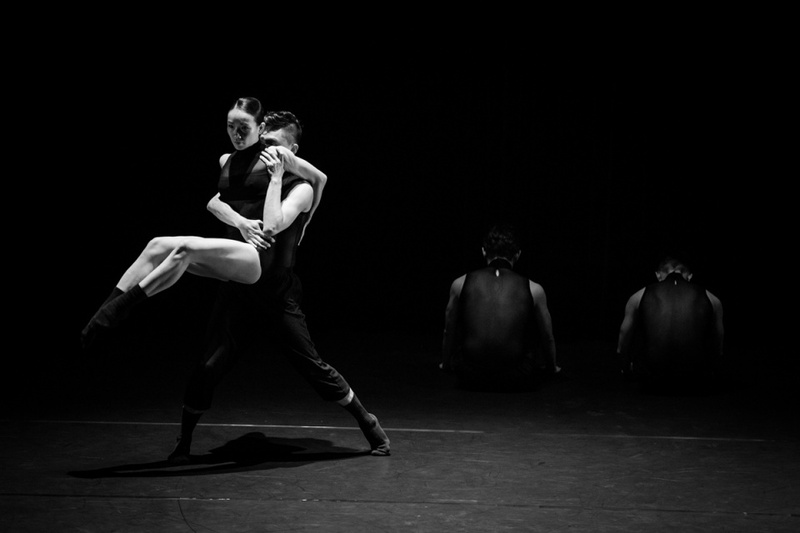 Jiang, who used to be the principal dancer at the Lyon Opera Ballet, worked with Duan as the choreography director of So You Think You Can Dance China. 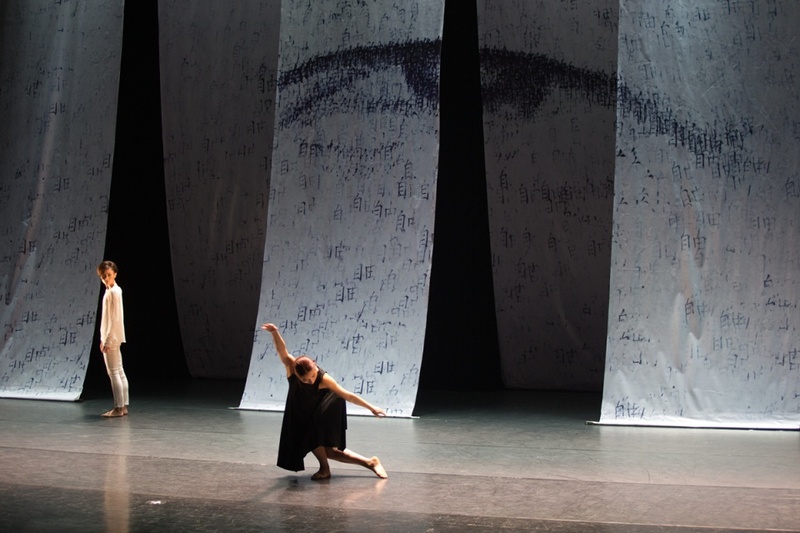 Together with Phil Akashi they brought, not only spectacular dancings, but different forms of art and as a result a sensational stage. Phil Akashi was really happy to have the opportunity to show a collaborative work in such a prestigious venue. 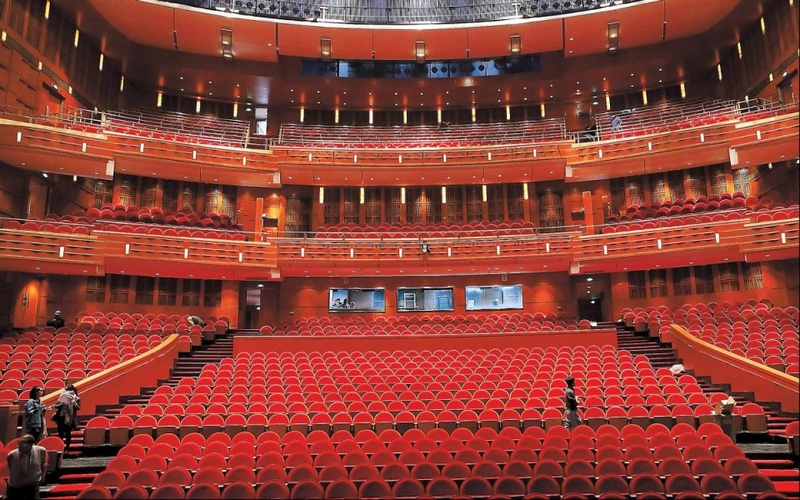 Opened in 1998 and designed by French architect Jean-Marie Charpentier, the Shanghai Grand Theatre building is a landmark of Shanghai. When night falls, the whole construction resembles a crystal palace.